The Chipper Clipper: Star Wars: The Complete Saga on Blu-Ray for $89.99!!! 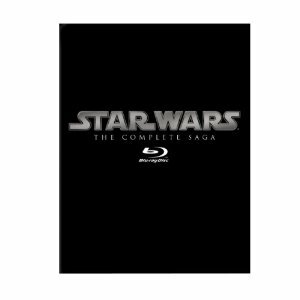 Star Wars: The Complete Saga on Blu-Ray for $89.99!!! You can now pre-order Star Wars: The Complete Saga (episodes I-VI) on Blu-Ray for ONLY $89.99 this is an amazing deal and was originally $159.99 on Amazon! This price may not last long,and if you are a Star Wars nut like me & love the high quality of Blu-Ray you will be super psyched to get this awesome deal, be sure to act quickly! Release date is sometime in September 2011!!! Special thanks to Free Snatcher & Couponing to Disney for this awesome find! !